Joshua Grierson has confirmed to play at 19h00 in our courtyard! Creation Wines have come on board for more wine! This Thursday, 20th September, the creatives at The Woodstock Foundry are opening their studios to the public. My studio, Lost Is A Place Too, will be open for you to look at and Opus Studio and I will be Alphabetical wine to get you going. We have the Cape Town Food Trucks coming through to feed you and refresh you with Lady Bonin tea smoothies, Limoncello Calzones and the Soft Machine ice creams. 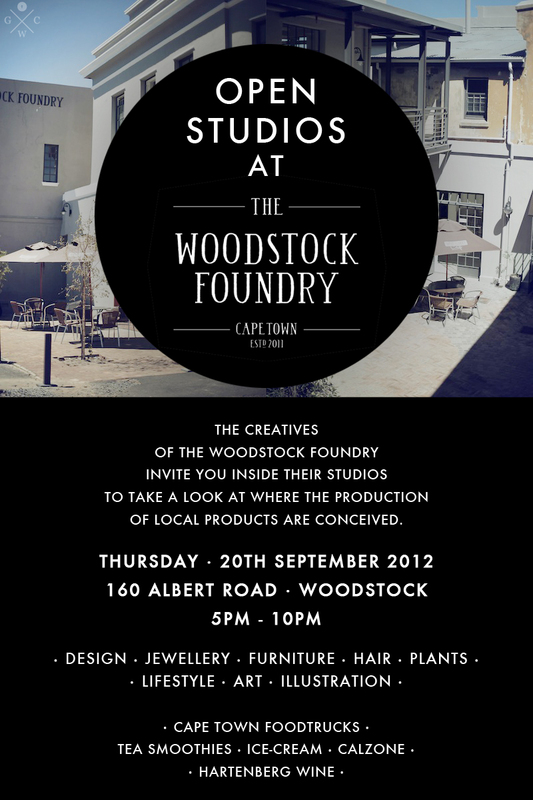 Hartenberg wine will be getting you chatty and all the studios will be open to you to experience as well as purchase on the evening. It's gonna be more or less rad.